Join us as we all work on improving your posture and core strength. Suitable for ANYONE even if you have never tried ballet before. Wear comfy clothing that you can easily move/stretch in & socks or ballet flats. Bring water, a towel and an open heart ready to be filled with new movement! Shikara has been dancing for 14 years. She has been trained by recognised and accomplished professionals from all over the world in classical ballet, jazz, contemporary and musical theatre, receiving the highest marks in her exams with the Royal Academy of Dance (RAD) and the Commonwealth Society of Teaching Dance (CSTD). 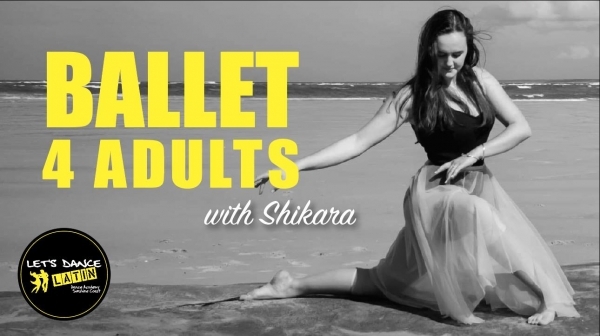 Shikara has been teaching for a number of years and is a performer, choreographer and entertainer at theme parks and events on the Sunshine coast. Shikara is a kind, compassionate, supportive and encouraging teacher and choreographer.